I believe I’ve mentioned this before, but I love to take long walks at late hours. As I was out tonight, I realized that after around 30 minutes or so, I enter into a trance. Maybe trance isn’t the right word. Maybe a state of intense concentration and focus? I’m only half-conscious as to what’s going on around me. During these walks, I’m in a state of half-daydream, half-reality. Tonight I was reflecting on how the sky is like a giant canopy which only opens up at night. Though I find the daytime sky majestic, especially in the evenings, it also obscures the view of the vast universe of which we’re a part. It’s best to find yourself a long winding country-road which leads out into the middle of nowhere. On a clear night when it’s nice out, just walk down that road and keep going. Hopefully you won’t encounter any cars and you can just keep walking and walking. Within a half-hour or so your eyes will adjust and become extremely sensitive to light. That’s when the sky above you will come alive. Stars will start to appear, one by one, until eventually the giant dome is filled with them. They’re everywhere and you’ll find it puzzling that you didn’t see them earlier. It’s not like they weren’t there before – you just didn’t see them. I don’t know why everyone goes to sleep when all of this becomes visible. It’s a shame. Too many people fail to remember that we live on a tiny mote of dust spiraling around just a single star in a universe of unfathomable proportion. I think I realize what I love about the darkness: it’s a blank canvas to be painted on. My mind starts imagining all sorts of things and I soon lose myself. It’s the same reason I love writing simulations. I start with a blank canvas – a blank computer screen – and begin painting colors into forms, drawing whatever I can imagine. Unlike a painter, who is limited to a single canvas and does not have to worry about the rules behind the picture’s generation, I get full control over a fully interactive canvas. You can move through a virtual world and I control every parameter, painting countless pictures in succession, just like the real world does. As I traversed the winding roads, I pondered my ideal universe and the rules behind beautiful forms. How could I create a virtual heaven? I always find myself inadequate for the task. 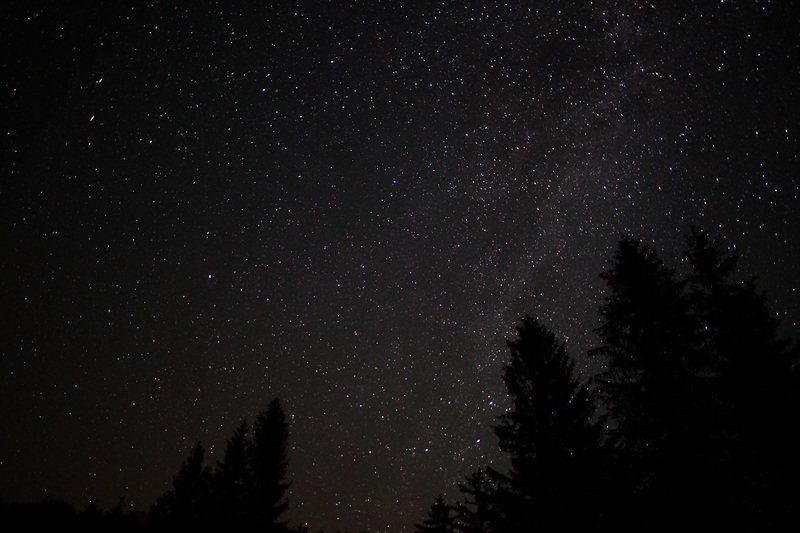 For example, ask yourself whether or not you can even imagine a sky more beautiful than our own? I mean honestly, how can you find fault in this? You know what’s best about the sky? It’s blue, my favorite color. I’m very fortunate in that outdoor scenery is painted in all my favorite colors. Greens, browns, grays, oranges, and blues. During the day the giant dome is sky blue, which is my second favorite color, next to navy blue. These beautiful fluid clouds float about, slowly twisting and flowing onward, like giant cotton balls suspended overhead. It’s different every single day, yet it’s still blue skies and white poofy clouds. White is such a rich color. The sky looks pure and clean. 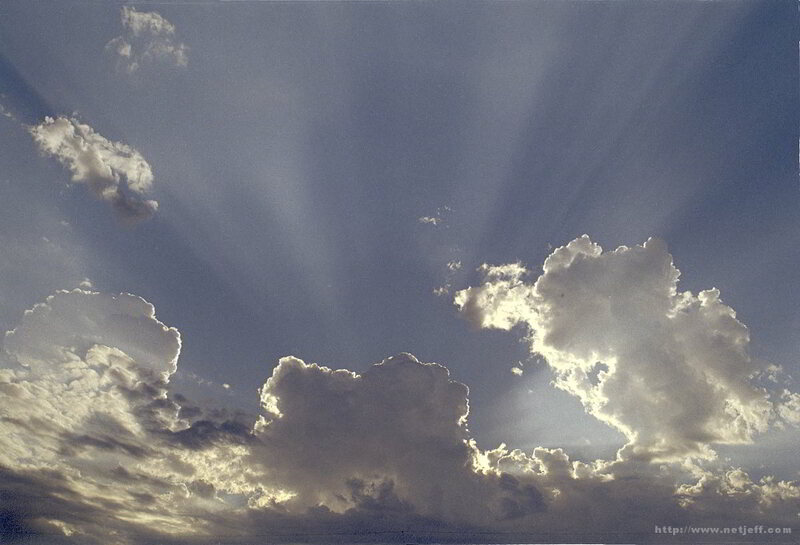 I just want to get up there and fly around in those clouds, with my arms outstretched, breathing in that clean air. Pilots talk about how wonderful it is to fly small aircraft way up in the clouds. I’ve seen videos on youtube and it doesn’t even seem real. Autumn is hard to beat too. As I walked, the leaves were shuffling about, many of them being lifted up into the air, twirling around in erratic, unpredictable patterns, carried by small gusts of wind. I had never noticed it before, but dead leaves can be scattered all over the ground and still look beautiful. They look like they belong there, blending wonderfully with the grass and small sticks on the ground. But you throw a small piece of litter beside them and it looks terrible, even if it’s the same color as the leaves. There’s more to a leaf’s perfection than its color. They’re not little brown pieces of paper. There’s little bends and curves in them, there’s veins running throughout them, and they have a beautiful fractal like symmetry, which matches the pattern of the trees. Nature has attention to detail. Your unconscious mind feels it and notices it, even if you’re not consciously able to identify exactly what it is you’re feeling with words. I think I’ve been spending too much time looking at pictures created with Terragen. Have any of you heard of it? It’s a software program where you can build outdoor environments and render them. The images created are photo-realistic. They have a huge library of plant, tree, and flower models, as well as algorithms to produce rocks, canyons, mountains, weathering, erosion, flowing water, and so forth. This is the very sort of thing I imagine when I think about the future of virtual reality combined with advanced AI. We’ll each be given a huge portion of memory and computing power, and then be able to store whatever we want on it. In that space we’ll be able to create our own ideal home — our own personal universe. You can see pictures created with it here. Here’s an example of one picture created with it. Take a look at this picture of a sky, created completely with software. I love this form of digital art. 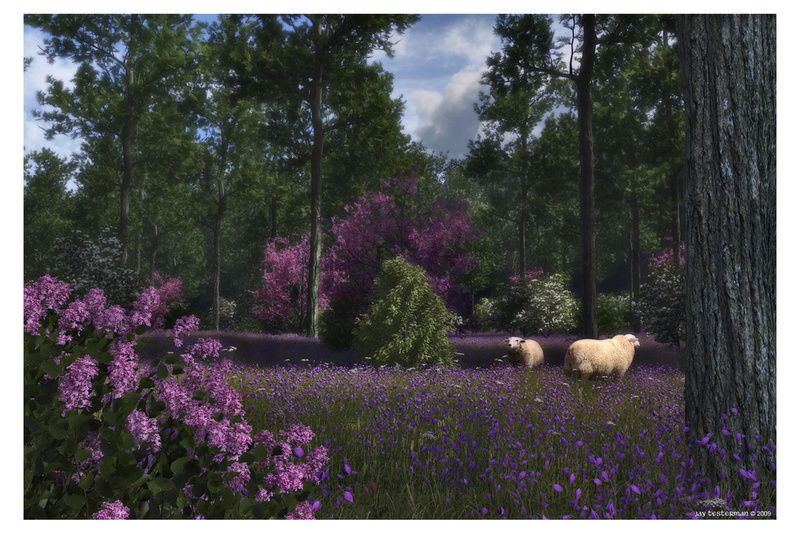 Artists take 3d models of environments and mountains, and using these software tools, they create photo-realistic images of utopian worlds. When I’m walking in the darkness, the dark silhouettes of tree lines are filled in with flowers and grazing animals, peacefully meandering about in the fields dotted with color roses, carnations, and tulips. Castles appear off in the distance and beams of colored light penetrate the imagined foliage canopy. My mind often drifts between what’s possible and what really is. I start to think about future generations a few hundred years from now, flying around in virtual reality, telling a super-advanced AI system, “I want to build an island here. I want these sorts of flowers, these sorts of trees.” The AI system replies, “As you command.” An island appears and then the person walks around it, “No. Change these purple flowers to red ones. I don’t like conifer trees. I want oak trees. Wait, show me all sorts of different trees.” A myriad of different trees start flashing before the person. “Eh’, I’ll go with that and some of those.” After finishing the outdoor environment, the person says, “I want to build a mansion over there. 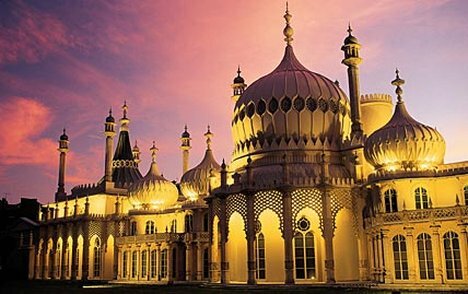 I’m looking for something similar to the Royal Pavillion. You know, Oriental style.” Then this structure appears in the flower garden. It doesn’t seem real to me that future generations will experience that. Their brains may be removed from their bodies as young children and they may never know what it’s like to have a “normal” human body. If they interact with the real world, they “possess” advanced prosthetic bodies that feel just as real as ours but without all the pain and suffering. They may never know pain. Neural implants may keep them from ever experiencing loneliness or depression to any significant degree. They won’t have to learn from books, but will just download information into their brains. They’ll be able to race cars, fly any type of aircraft, immerse themselves in elaborate virtual adventures, bonding with one another. To them, after living in VR for hundreds of years, I don’t think they’ll even think in terms of what’s “real” and what’s “virtual”. An experience is an experience and they’ll be able to control their experiences to a degree far beyond what we can. AI, neuroscience, quantum physics, software simulations, and virtual reality… Think about all of that too long and this is what happens to your brain: you get a strange man like me wandering down a country road at 2:00 AM, staring up at the stars, walking right past you, completely lost in thought, not even noticing you’re there. Previous Previous post: How Is Everybody?